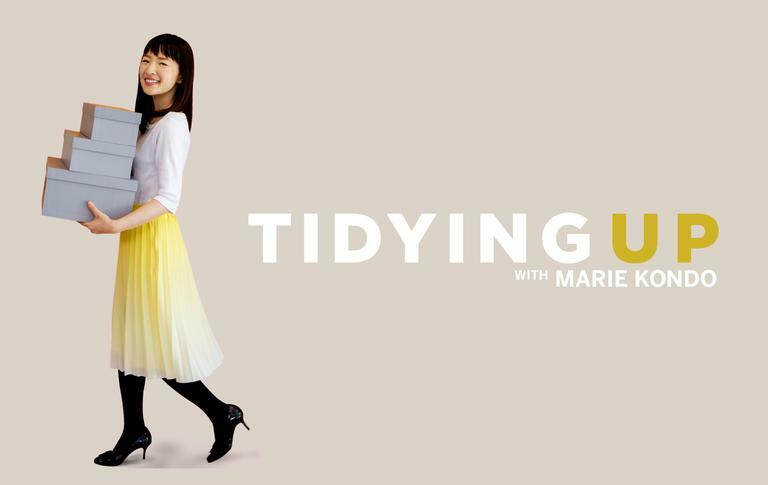 Marie Kondo’s Netflix series, Tidying Up indeed came just in time for spring cleaning. If you are simply too uninterested to watch all 8 episodes of Season 1, fret not! 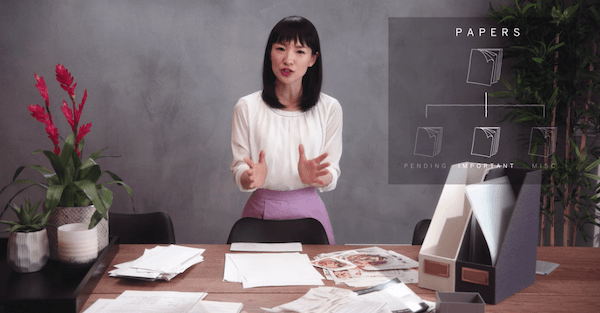 We went on a Marie Kondo Netflix marathon and here are the 10 best decluttering and tidying lessons summarised by category. Learn them all and start organizing (or rather, #KonMari) your home! Before you get started with the KonMari method, understand that tidying is not just about cleaning. It is also about creating a space that sparks joy and suits your ideal life. You must first be motivated to transform your life by envisioning what you want for your home and the life you want to lead. Ask yourself “Why do I want to tidy?” and “What am I truly seeking?”. Then, communicate the vision to your home to allow the rest of the process to proceed smoothly. 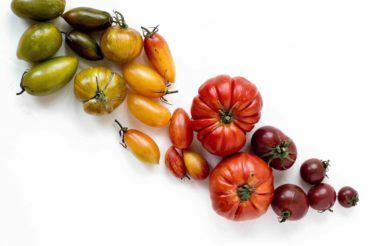 Tip from Kondo: Some may have the misconception that the point of the process is to eliminate things. Instead, it is really to confirm how you feel about each and every time you possess. 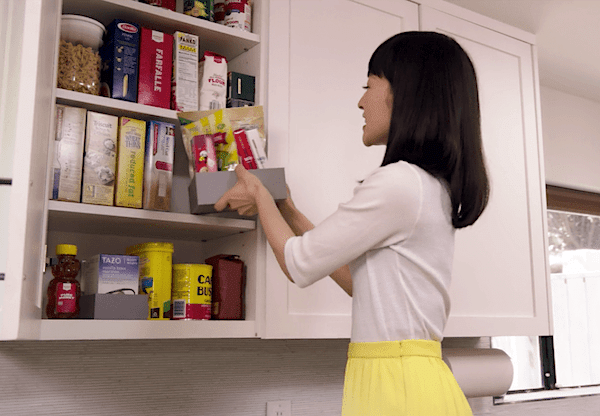 Everything you have should spark joy to yourself or what Marie Kondo refers to as the “Ching”! 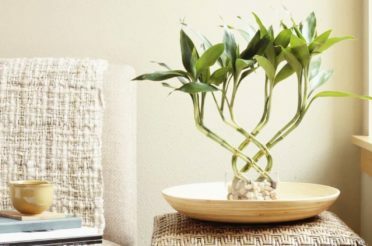 Tidying isn’t just about organizing your home, it is also about about creating a welcoming, inviting, positive environment to your home. 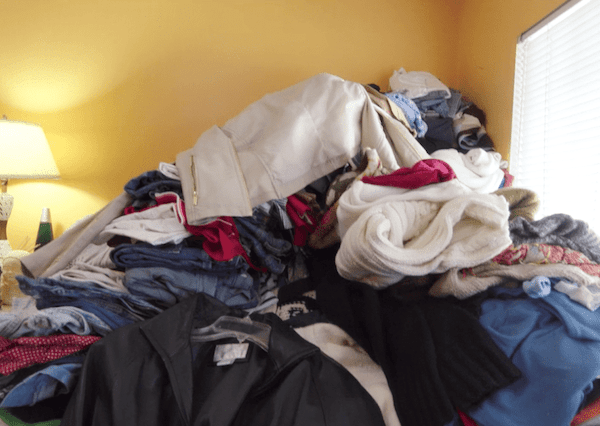 Take out all your clothes and pile it on your bed – only then you will be able to see how much clothing you actually have. Hold each item one by one and only keep the ones that spark joy. You will be more attuned with what sparks joy for you if you start with something you wear all the time and obviously like. Express gratitude to the clothes you are letting go by saying “Thank you”. This lessens the feeling of guilt. According to Marie Kondo, each piece of clothing should be showered with special care and appreciation when you fold them. 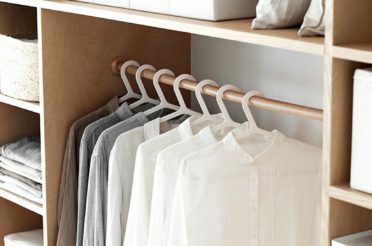 The rule to storing clothing is to always keep them upright so that you can easily see them. To learn how she fold each type of clothing, you can click here to watch the basic folding method. 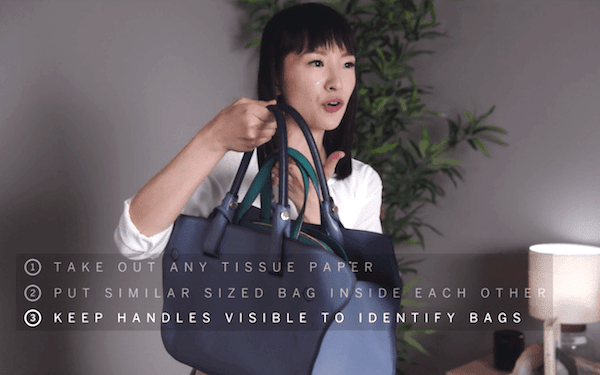 In the show, Marie Kondo recommends utilizing the bag-in-bag method when storing bags to maximise your storage space. Simply place similar sized bags inside each other and keep the handles visible to identify bags. Always give your collection of bags a home to live in so that you know where to place them after use. Do not leave them scattered around your home! Psst! 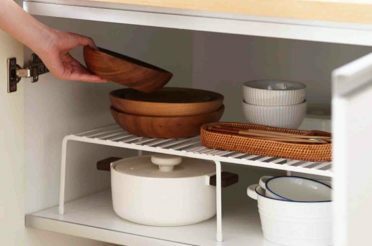 We got extremely excited when we saw Kondo recommending the homeowners an item similar to our Extendable Kitchen Rack Organizer and Extendable Shoe Rack Organizer to utilize the height of her shoe cabinet. You might have books that have been sitting in the bookshelf for the longest time. 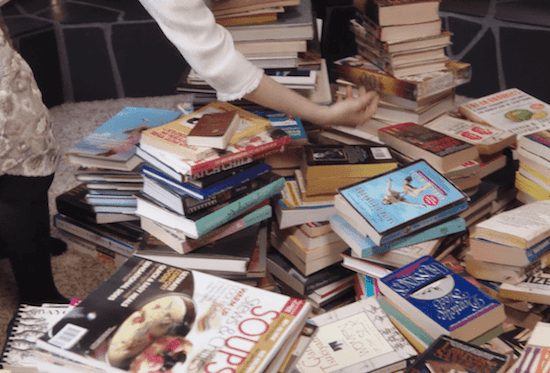 Empty your bookshelf and have all placed in a pile. Kondo has the habit of knocking on the books to ‘wake them up’ before getting started on the tidying process. Books are a reflection of your thoughts and values, if you don’t find it beneficial to yourself anymore, it is time to let go. The rule to having an organized kitchen pantry is to categorise food items. 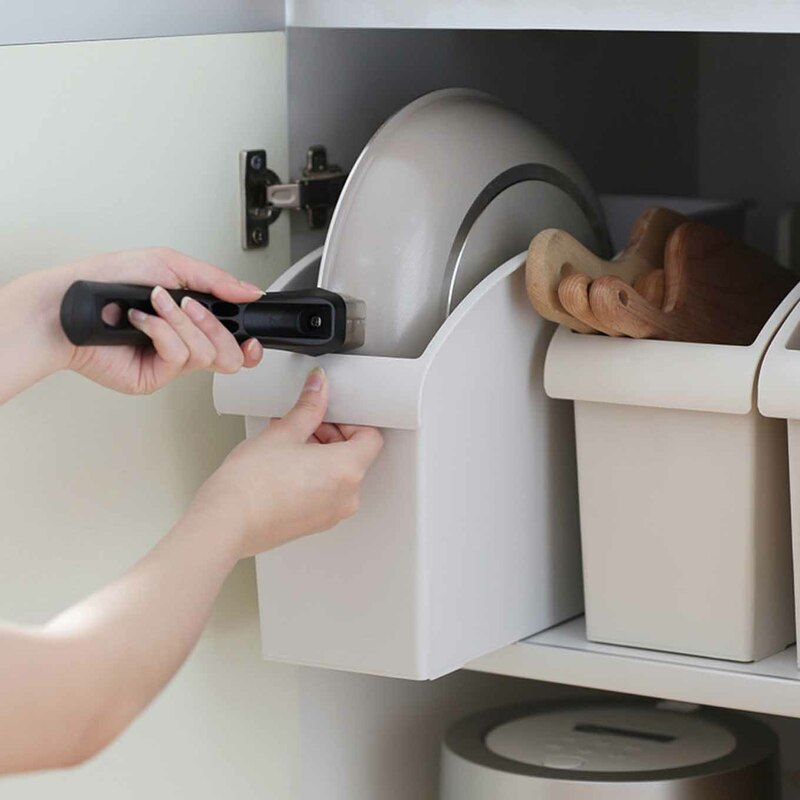 By doing so, you will be clear on where to find your items and it makes it easier for you to keep track of the quantity of food you have. Don’t end up buying duplicate cans of sauces and having a hard time finishing them! Tip from Kondo: For small items such as snacks, put them into storage boxes for easy access and it will look more organized too! 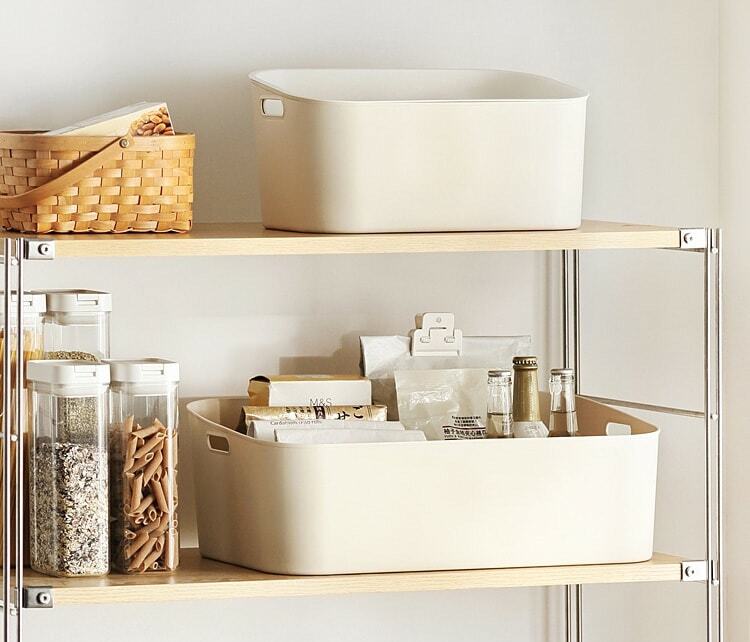 Similar to kitchen organization, categorizing your bathroom essentials is key too. Group similar items together. Tip from Kondo: Use gift boxes, shoeboxes (the body and the cover) as an organizing tool inside your bathroom drawers. It is a good way to compartmentalise your bathroom essentials. 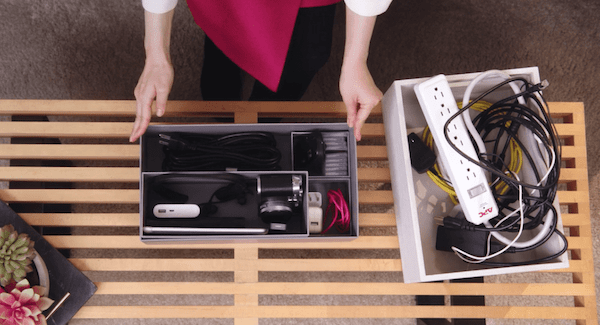 Organizing your garage or maybe… what you consider as a ‘storeroom’ in Singapore’s context. Festive decorations for Christmas, Chinese New Year etc are some of the common things found in a Singaporean storeroom. Kondo suggests that decorations should not be stored in trash bags, but rather in clear storage boxes instead. In this way, you will be able to clearly see what is inside it. Small items such as USB, memory cards will look tidier when stored upright. The goal is to store everything in a way where you can see everything with one look. If you have spare gift boxes or shoeboxes, use it as an organizer instead of discarding it away. For photos, rather than having them loosely placed, store them in a photo album and in an area that sparks joy for you. With all these tips in mind, its time to stop procrastinating and start taking action! You can only feel the results of the KonMari method when you get your hands dirty and work towards your dream lifestyle of having an organized and clutter-free home. We would love to help you get started on organizing your home! 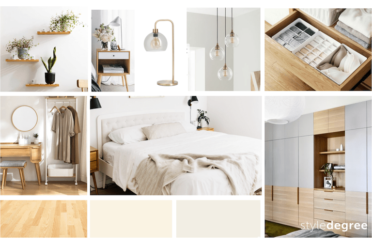 Explore our range of home essentials for your wardrobe, kitchen, bathroom and more and make your house feel like a home. Love what you've just read? 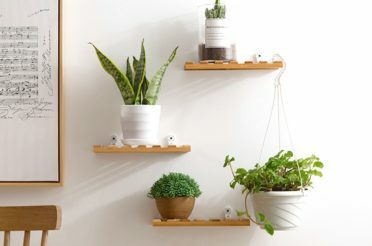 Get Home Organization & Decor tips right in your inbox - We promise you'll love them! 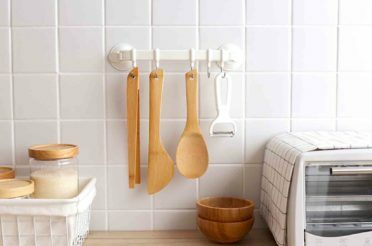 Be inspired for an organized and happier life!